Amazon is providing better and faster services to its Prime members. If you are an Amazon India shopping portal user then you should experience the prime features. Amazon provides priority for their prime customers. Now they are restricting certain win-win daily deals and offer exclusively for the prime customers. So if you wanna grab the best deals then you should be a prime member. FREE fast delivery on Prime eligible items – Same day shipping etc. 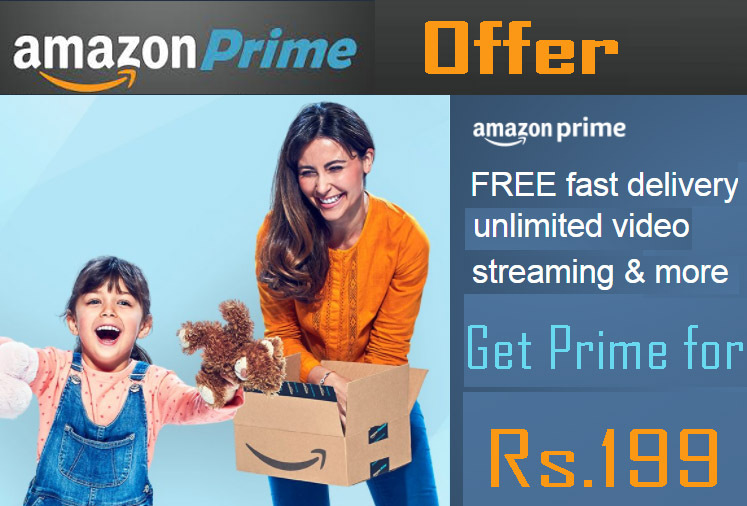 As a special introductory offer, now the prime membership is available for ₹ 499 , that is with 50% off on the original price of the prime membership. Thanks a lot for your support. I will try to give more tips and useful information in future.